Hiring A Driver | Hiring a Driver in St. Lucia doesn’t have to be complicated. St. Lucia Airport Shuttle offers the lowest rates and the best Privat Taxi service on St. Lucia UVF transfers. If you are taking a St. Lucia vacation and are looking for an airport transfer from (UVF) Hewanorra Intl. to your hotel or resort, you likely have many questions. What are the average rates? How do I know I have chosen the right company? Is my St. Lucia airport transfer going to be private or shared? Here, we will take a look at these questions and give you the answers you need to get your trip off to a great start! One of the most important things to know about St. Lucia taxis and airport transfers is that cars on the island are not metered. This means that each company can charge their own rate and even tack on their own fees. 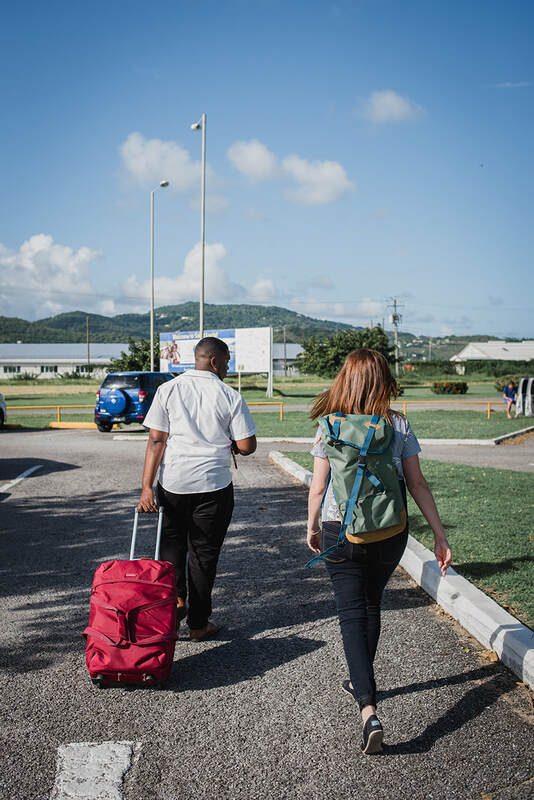 Finding a company that guarantees the lowest all-inclusive rate is the best way to save money while getting a safe and comfortable St. Lucia airport transfer. Booking in advance is recommended in order to ensure that a safe, private driver is ready and waiting when you arrive and will help you secure a great rate with a company that you can trust. Rates can fluctuate from one company to another, and finding the lowest rate doesn’t necessarily mean skimping out on comfort or safety. A taxi from Hewanorra UVF Airport to Rodney Bay can differ by company, but should never cost you more than $90 USD for a couple Excluding executive transport, while a transfer to Soufriere will average around $50 USD. It is important to get your fare before you get into the vehicle, and to ask your driver if your transfer will be private or shared. Tipping is not mandatory, but is always welcomed for exemplary service. So, now that you are armed with the information you need to make the right decision for your needs, why choose St. Lucia Airport Shuttle? Simply put, because we are the best in the business. St. Lucia Airport Shuttle offers the lowest rates for St. Lucia Airport Transfers from both Hewanorra (UVF) International Airport and George F.L. Charles (SLU) Airport in Castries. Contrary to our name, we can also take you anywhere you would like to go while you are here. When you book with us in advance, a private driver will be waiting for you upon arrival and can take you straight to your destination or even make stops along the way for photos or food. Our commitment to excellence in all that we do means that we hire only the safest, friendliest, and most knowledgeable local drivers. ​All of our transfers are private and never shared unless requested, and we will be happy to take you to your hotel, resort, or villa safely and comfortably. If you want the absolute best service and vehicles in St. Lucia, then St. Lucia Airport Shuttle is the absolute best service for your needs.